A while back Simon Says Stamp came out with an adorable stamp set with an elephant, giraffe, lion and penguin. The set is called “Wild Cuddly Critters”. So far, I used the set for two cards which I want to share with you today. 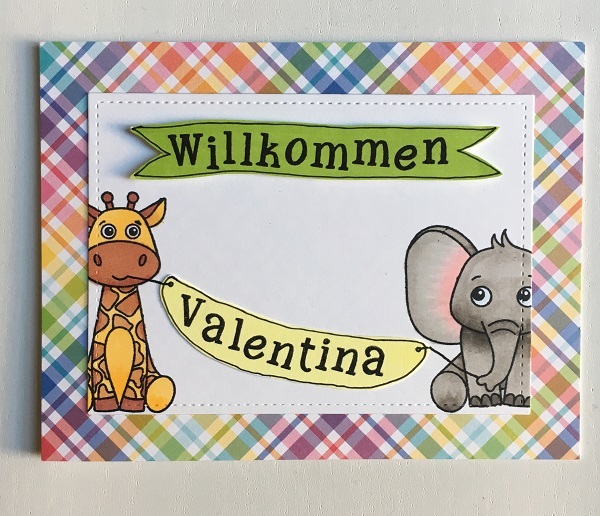 The first card is a baby card where the giraffe and the elephant hare holding a banner. 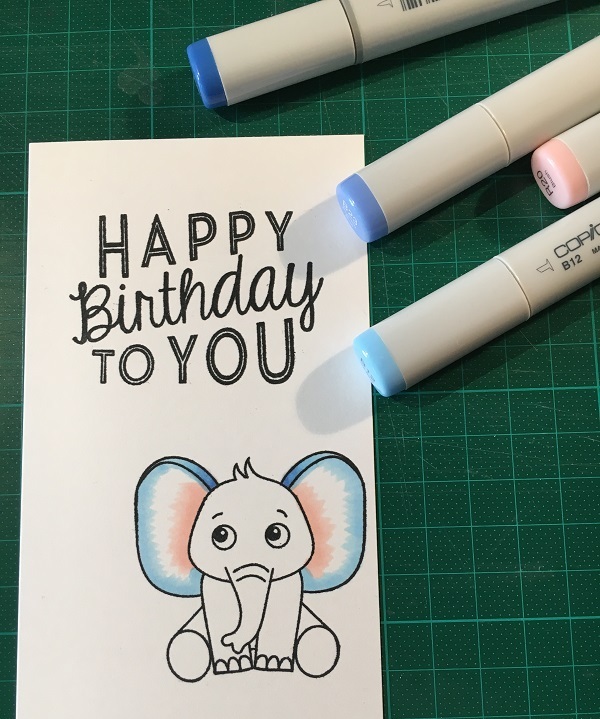 The second one is a birthday card I made for someone who loves elephants. 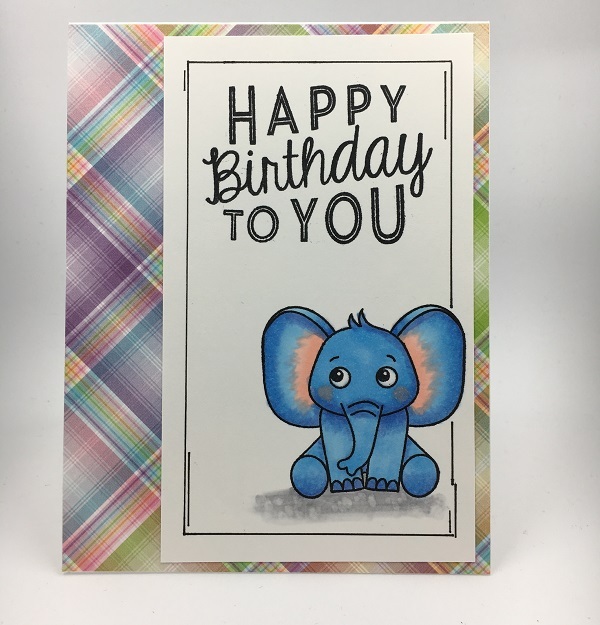 I kept the design fairly simple but decided to make the elephant blue. I mounted the panel on a colorful background patterned paper for some pop and called it done. Elephants are just adorable, don’t you think! Want to see more Adorable Critters? Read the post. Dieser Beitrag wurde unter Allgemein abgelegt und mit elephants, Simon Says Stamp verschlagwortet. Setze ein Lesezeichen auf den Permalink.